Terrazzo floors combine chips of marble and other stone products with cement or epoxy to form a strong, durable flooring surface. Like stone, these floors tend to be fairly porous if left unsealed. With proper cleaning and polishing, however, terrazzo can develop a brilliant shine. 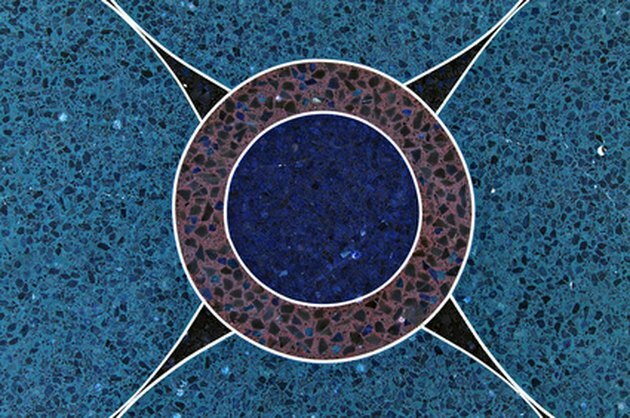 To protect your floors and minimize the risk of damage, choose supplies and equipment designed specifically for polishing and cleaning terrazzo. Clean the floor with a damp mop to remove dirt before polishing. Pour a PH-neutral (non-acidic and non-alkaline) cleaner into a bucket and mix with water according to the manufacturer's instructions. Apply this mixture to the floor using your mop. Mop the floor with a clean, damp mop to remove all remaining cleaner and dirt. Allow the floor to air-dry overnight once all cleaner has been removed. 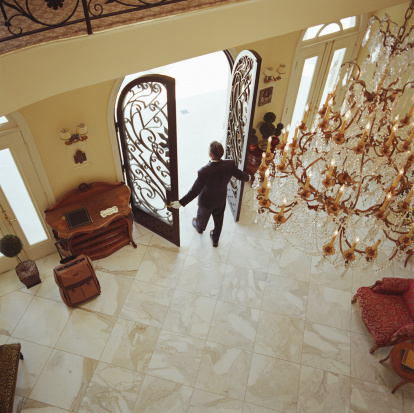 Apply a terrazzo or marble sealer to your floor. Pour the sealer in a bucket, then apply it to the floor using an applicator brush or floor roller. Wipe away excess sealer and allow the floor to dry overnight before proceeding. Rent or buy a commercial buffing machine from your local hardware or home improvement store. Insert soft polishing pads made from hog's hair onto the buffer. Use light-colored pads to avoid staining the floor. Sprinkle PH-neutral polishing powder onto the terrazzo. Turn on the buffer and run it across the terrazzo, covering the entire floor surface. The polishing powder will form a slurry as it works its way into the terrazzo. Once most of the powder has been absorbed, turn off the buffer and remove it from the floor. Damp mop the floors to remove any leftover polishing powder or slurry. Buff the floor once more using your buffing machine until the floor has the desired level of shine. Can I Use a Steam Cleaner on the Terrazzo Floor?